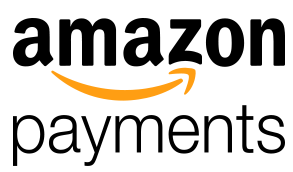 Amazon Payments is an online payment method, owned by Amazon.com, Inc., that you can integrate as a checkout option to your e-commerce website. As of June 2017 the service is available in the U.S., France, Germany, Italy, Japan, Spain, India and the UK. Existing Amazon users can make secure purchases from non-Amazon websites that accept Amazon Payments. If your customer selects this payment method, they choose an existing credit card and shipping address from their account (or add a new one) and checkout with a few simple clicks. Much like PayPal, using this service keeps the customers financial information private from sellers. The idea is that by making checkout quicker and adding more protection of customer data, merchants could increase conversions and sales. How do I implement it on my Magento website? Are there any added benefits for mobile shoppers? Do I get all my customers order data? Are there any con’s I should consider? There are already plugins developed to allow for an easy integration on e-commerce platforms such as: Woo Commerce, Magento, Drupal, X-cart, Shopify, BigCommerce, and many others. We have found that nearly all of these are free solutions, and most are developed by Amazon. Here is a full list of the plugins that they offer: click here for list of Amazon developed plugins. While this focuses on Magento 2x CE, the integration for Magento 1x is near identical. Do you need help with your integration? Our team can assist you with integrating Amazon Payments on WordPress, Magento, Drupal, and X-cart. 1. Create an account with Amazon Pay. Amazon will require you to fill out some basic information (first name, last name, email address, business website URL, website platform). 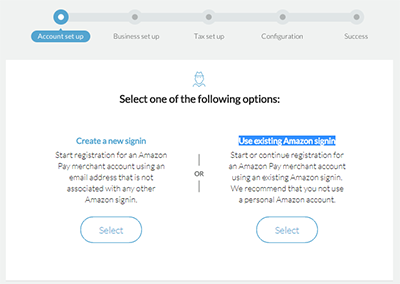 Next they will give you the option to either “Create a new signin” or “Use existing Amazon signin”. Make sure that you do not select the latter option and use a personal Amazon account account. Only select this option if you have an Amazon business account. From here you will go through a series of other steps which include: Business setup (type of business, us/intl, etc. ), Tax setup (business name, address, phone, category, annual sales, website url, agree to terms, credit card details), Configuration, and Success. During the process they also will typically require some verification documents to be uploaded. They will also ask you to add a credit card to the account, “We ask for a card in the event that your account falls into a sustained negative balance”. 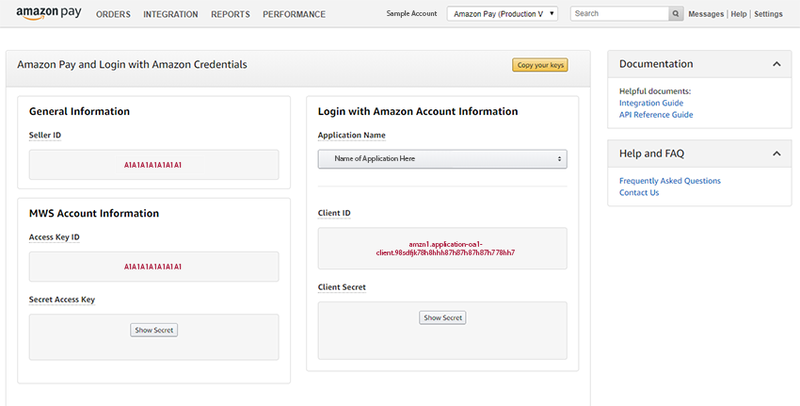 From the same location you can manage your Sandbox account which you can use for running transaction tests before deployment as well as your Login with Amazon should you choose to also utilize that functionality on your website. 2. If you don’t have one already, setup a free Magento account. The extension was developed by Amazon Payments, Inc., and is free. You’ll select from either enterprise or community, choose the default support option, and then “Add to cart”. Once you complete the process you will get a confirmation page with a download link. While there are a few harsh reviews, we didn’t experience any issues with the extension during our installation on a default Magento installation and theme. 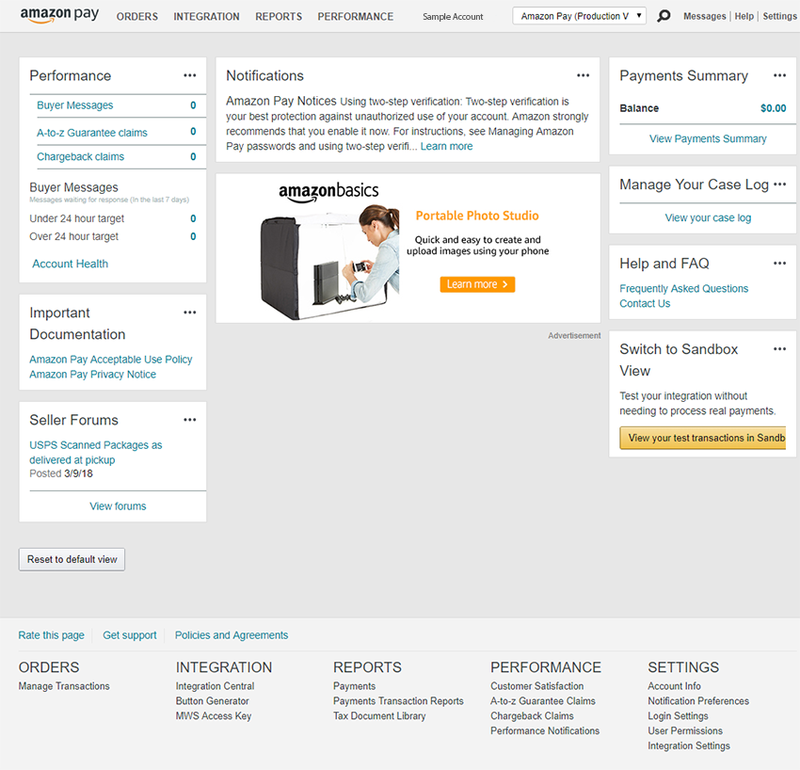 Log back in to your Amazon Pay account. Hover over the “INTEGRATION” link in the header, and choose the option for “MWS Access Key”. 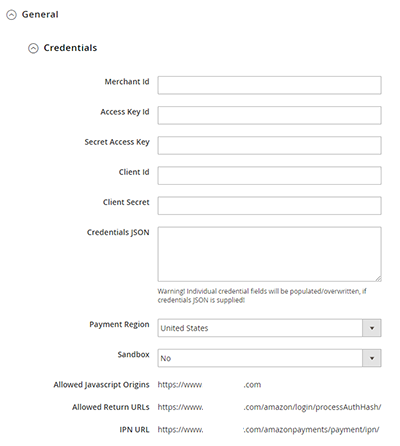 You can either “copy your keys” and paste that into the “Credentials JSON” which will (should) populate the info for all your required credentials or you can ndividually copy and paste the: Merchant ID, Access Key ID, Secret Access Key, Client ID, and Client Secret. Lastly, set your “Payment Region” and “Sandbox” mode to yes or no. Login to your Magento Admin. Go to “Stores” and then “Configuration”. Expand the “General” tab and then “Credentials”. Populate all the credentials from step 4. Expand the “General” tab and then “Options”. a. 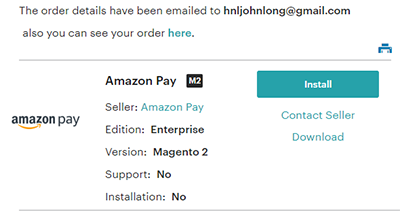 Set “Enable Amazon Pay” to “Yes”. b. 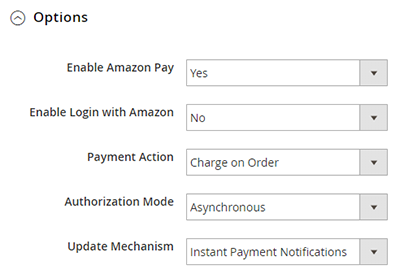 Set “Enable Login with Amazon” preference. c. Set “Payment Action” preference. d. Set “Authorization Mode” preference. e. Set “Update Mechanism” preference. There are some settings here related to front-end design, sales preferences, and some developer related options. The integration process should not take more than a few hours to install the plugin and properly test all aspects of the integration. Consult with your website developer, or we would be glad to assist you. Contact LDA at info@ldainteractive.com or call (213) 342-1770 for a website consultation from one of our specialists. The idea is that using this service will make checkout easier for your customers and if your prospective customers have any hesitations about safety, security, or their information being compromised, using a trusted service by Amazon will alleviate those concerns. Large retail brands like ALLSAINTS were early adopters of the payment service. Richard Ascott and James Wintel have publicly spoken about the success they’ve seen with Login and Pay with Amazon, boasting a 34% increase in conversion rate. They also states that their average checkout time went down by 70 seconds. Fees are transaction-based. There is a fee for both processing and authorization the transaction. The transaction fee (domestic processing) is 2.9%. The authorization fee is 30 cents (plus tax where applicable) and is collected when the transaction is processed or when it has not been captured and closed or expires. The international transaction fee is 3.9%. The authorization fee is 30 cents (plus tax where applicable) and is collected when the transaction is processed or when it has not been captured and closed or expires. Disputed charge backs not covered under the “Payment Protection Policy” are $20.00 plus tax where applicable. For refunds, you will be refunded the processing fee only. Full fee schedule can be reviewed here. You can read more on their user agreement. Are their any added benefits for mobile shoppers? While the payment solution is responsive and works well with all devices we have tested it on, we see no added benefits from a mobile payments perspective. Amazon is launching “Pay With Amazon” buttons for mobile apps too which could be beneficial if you are also running an iOS or Android app as an extension of your website. While you do not get customer billing address or other payment related details, you don’t really need them. Custom e-Commerce Solutions. If your website is using a purely custom solution or uses a heavily customized solution, you could run into integration issues and added costs. In this case you have to decide whether the integration cost will be offset by the added value of adding Amazon as a payment option. A-Z guarantee. Purchases are covered by Amazon’s A-Z guarantee and this means that your policies have no bearing on the transaction. There are also some quirks like customers can’t purchase more than 20 different items in one order. Hold Period. Funds will automatically be deposited every day, after the 14-day hold period. Ready to Ship. You can’t ship until you receive a “ready to ship” notification from Amazon. This typically takes 30 minutes, but has been reported by some to take up to 3 days in some scenarios. This is most likely working towards your benefit as they are doing their due diligence in fraud checking. You just need to make sure not to ship until you have the go-ahead or you might lose money for shipping an order that is later marked as fraudulent. Freezing Accounts. There have been numerous reports by merchants that Amazon held their funds for 90 days + without prior notice. Some Amazon Payments merchants report being falsely accused of selling counterfeit goods.